The Image Works and Virgin versions both have different covers. 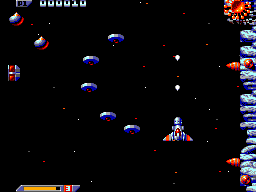 "XENON 2: Hard, fast coin-op action with a hot soundtrack to match. 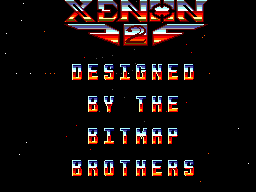 XENON 2: It's out of this world! XENON 2: It's a Megablast!" 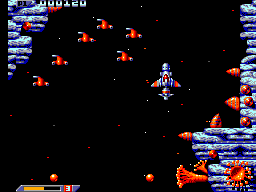 The first level boss can be quite tricky, but if you position your ship at the very top right hand corner he won't be able to shoot you.